Located on the border of Monterey County and San Benito County, Fremont Peak State Park&apos;s 3,169-foot pinnacle provides panoramic views of San Benito Valley, Monterey Bay and the Santa Lucia Mountains. Hikers in the know rave about the vistas at Fremont Peak State Park. Stargazers also love Fremont Peak State Park; its observatory has a 30-inch telescope. You can&apos;t see all of California from the top of Fremont Peak State Park, but it may feel like it! On clear days, the view from the apex of Fremont Peak stretches into at least four counties. Reaching the peak at Fremont Peak State Park is a relatively easy one mile hike from the last parking lot. Stand with one foot on either side of the peak, and you&apos;ll be in two counties at once; the pinnacle marks the border between Monterey County and San Benito County. 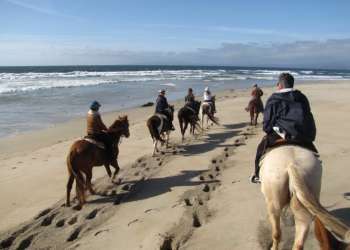 The California State Parks website has a detailed description of this hike, as well as an online trail map. Fremont Peak State Park has primitive tent camping facilities, and a handful of RV spots. There is also one group camping area that is some distance from the general camping area. Fremont Peak State Park has pit toilets, but no showers. Book your camp site online before visiting Fremont Peak State Park. From April until October, Fremont Peak Observatory, located at Fremont Peak State Park, holds public educational viewings. These events are held on Saturdays when there is not a full moon. With its limited light pollution, Fremont Peak State Park is an ideal location from which to view the stars. Fremont Peak State Park is named after John C. Fremont, former military governor of California. Fremont raised the American flag at Fremont Peak in 1846, the first time the flag was raised in California. Fremont Peak State Park holds a monument to John C. Fremont, as well as the Fremont Memorial, located at the apex of Fremont Peak. 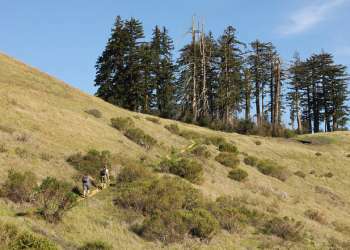 To reach Fremont Peak State Park, take Highway 101 to Highway 156 East. Follow to San Juan Canyon Road (there will be a sign for Fremont Peak State Park). Follow San Juan Canyon Road for 11 miles; at the end is Fremont Peak State Park.